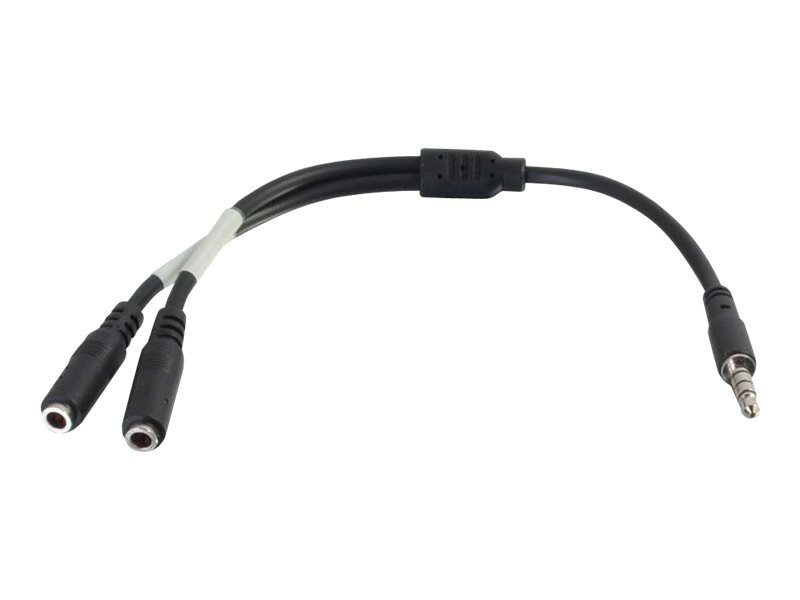 The 6 inch 4-pin 3.5mm Male to Dual 3.5mm Female Adapter is the perfect solution for connecting a set of headphones and a microphone to a single 4-pin 3.5mm port on a laptop, tablet, cellphone or other mobile device. Newer laptops, cellphones and other mobile devices only offer a single 4-pin 3.5mm audio port capable of supporting both an audio input and an audio output. This adapter provides two separate 3.5mm ports that will support a mono microphone and a set of stereo headphones or a set of external speakers. The compact design of this adapter makes it easy to carry in a laptop bag or briefcase.